House plants can offer a refreshing visual effect to our indoor environment, especially those that have stunning flowers or foliage. Before buying a houseplant make sure to do a little research to discover the plant’s light, soil, temperature and humidity requirements. 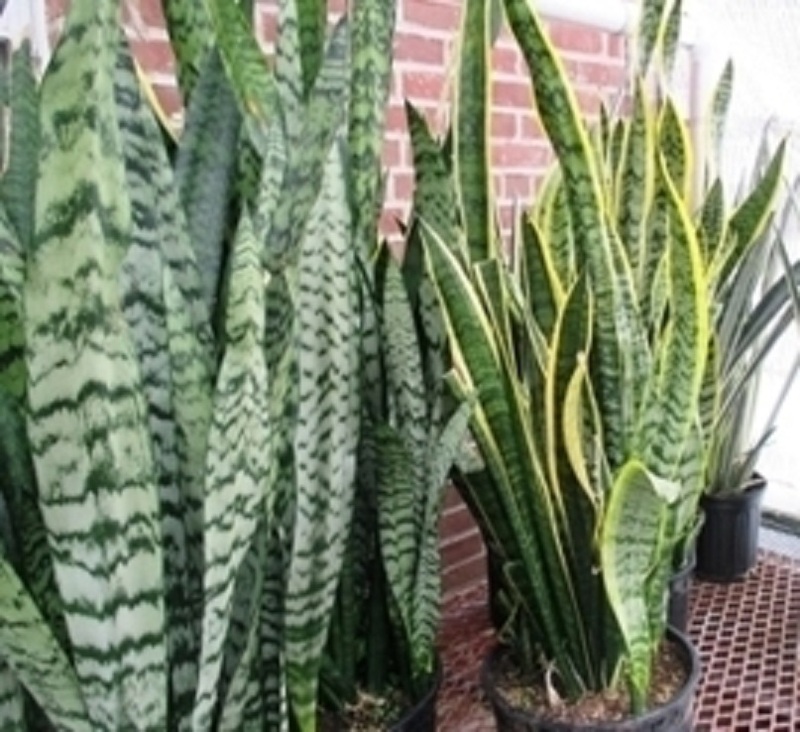 Houseplants differ in light requirements as do outdoor plants. Some need bright, direct sunlight, while others may need only indirect sunlight. Still others may only need a minimum amount of light. A plant with low light requirements would do well set back somewhat from a north-facing window, while one needing medium light may do well placed closer to a north facing window or set a few feet back from an east/west window. Plants with high light requirements can be placed in front of an east/west window or up to five feet away from a south facing window. Plants requiring direct light need close proximity to a southern light exposure. Most house plants will do well with daytime temperatures between 65 and 75º F. An ideal situation is where nighttime temperatures only drop 5-10º. Keep plants well away from heat sources such as vents or wood burning stoves. Avoid placing plants near cold air sources like air conditioning units and keep them away from drafty doors or windows. Some plants are even sensitive to air blowing from an indoor fan. Do not allow foliage to touch cold glass window panes. House plants vary in water needs. They may need more water when placed in direct sun or when planted in a light, well-draining soil. Check labels on individual plants for instructions on specific watering requirements. Some plants need evenly moist soils while others may need to dry slightly between watering. Plants such as succulents may have different water needs during different parts of their life cycles. Water kept in a container to keep it at room temperature is ideal for many houseplants. Using cold water can shock the roots of some plants. For additional information please check out our Houseplant Watering Recommendations fact sheet. Many tropical plants need extra humidity during winter months when the heat is on. Humidifiers can be used where practical or place the pot on pebbles placed in a tray or dish of water. Misting plants is a short-term solution and may need to be repeated often during the day. Some plants will not respond well to misting and may develop diseases if foliage is kept too damp. Rex begonias, caladiums, ferns and orchids like highly humid environments while other begonia species, cacti, jade plants and other plants with waxy, scaled or fleshy leaves prefer less humidity. Plants should only be fertilized when they are actively growing. Take care not to over-fertilize plants as excess fertilizer may burn roots. Plants may need much less fertilizer in the winter when days are shorter and growth slows down. Follow the directions on the fertilizer label and use nutrient ratios that are recommended for particular plants. Pots may be leached of any potential salt buildup by using large volumes of water in the pot so that it runs out freely from the bottom of the pot if salt accumulation is noticed. For additional information please check out our Houseplant Fertilization fact sheet. Some plants are sensitive to new environments, such as Ficus (Ficus sp. ), the fig tree varieties, which may drop its leaves while adjusting to new light and air conditions. Cyclamens (Cyclamen sp.) and the aluminum plant (Pilea sp.) do best in cooler temperatures between 60 and 65ºF. Other plants benefit from being moved to different light situations at different times of year. For example, African violets (Saintpaulia sp.) need more light in winter and may need to be moved closer to a window. In spring, as days get longer, they can be moved away from the window. Gardenia (Gardenia sp.) can be a difficult plant to keep in good condition indoors. They need plenty of light and will not respond well to being moved about. They do not like drafts of hot or cold air and needs high humidity. They will fail to develop flower buds if temperatures are not ideal. Croton (Codiaeum variegatum pictum) is a beautiful plant with rainbow colored foliage. They need high light conditions with 4-6 hours of direct sun as well as moist soil conditions. Leaves can brown at the tips if the humidity is too low. This fast-growing plant needs regular repotting. Citrus (Citrus sp.) proper lighting and temperature are two keys to growing citrus indoors. Four or more hours of direct sun are required and windows with a south or west exposure are best. Temperatures should be between 60 and 70ºF. Overwatering and leggy growth are common problems, as well as insect pests such as citrus scale. Philodendron (Philodendron sp.) 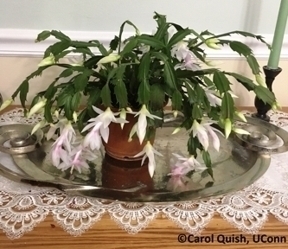 are a good low maintenance houseplant that tolerate a variety of conditions. They can generally deal with lower light and fertilizer applications than many other house plants. Just give them a consistently moist soil and they will be fine. They are also easy to propagate and can be snipped back to control size. Aloe (Aloe sp.) is a succulent that comes in large and small varieties and has an added benefit of medicinal purposes. It likes dry soil, lots of light, and temperatures around 70ºF. Peace lily (Spathyphyllum sp.) 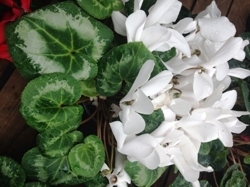 can do well in low light conditions and prefers moist soils, except during the winter. White flowers are surrounded by a striking white spathe which stands out against dark green foliage. 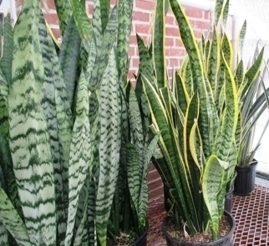 Snake plant (Sansevieria sp.) does well in various light conditions. It is a very forgiving plant with few needs except an occasional watering.